South American Finalist Chocobo Chic’s feline cosplay of Avatar’s Neytiri landed her an instant spot at the Finals. Check out more of her cosplays below! Cosplayer’s Comments : This cosplay was my dreamchild once, something i thought was going to be impossible. When i watched the movie i fell in love instantly and the more i watched it the more i wanted to be one of them. Through trial and error over the lapse of 3-4 months i slowly began creating all of the jewelry, props and prosthecics as similar to the character as possible. Everything you see is hand made with utmost care and the makeup took over 4 hrs to do between a friend of mine and i. Many say this cosplay is photoshoped and i assure you, its not. This was a unique experience and i hope to re-live it again someday. Cosplayer’s Comments : One of my all time favorite video game characters, she was the one who brought me into the cosplaying world. As my first cosplay, it was re-made various times over the years and the one you see now was the final product i finally made after 2 years of retiring the original cosplay. Cosplayer’s Comments : My iron maiden, kos-mos V.4 definately was a challenge to make. She took 6 months to make and i had little to no experience at the time. I made all the armor by hand out of posterboard, nothing else. I love KOS-MOS as a character in general and i will be making the rest of her versions in the future. Chocobo Chic’s poses for Neytiri are spot on! 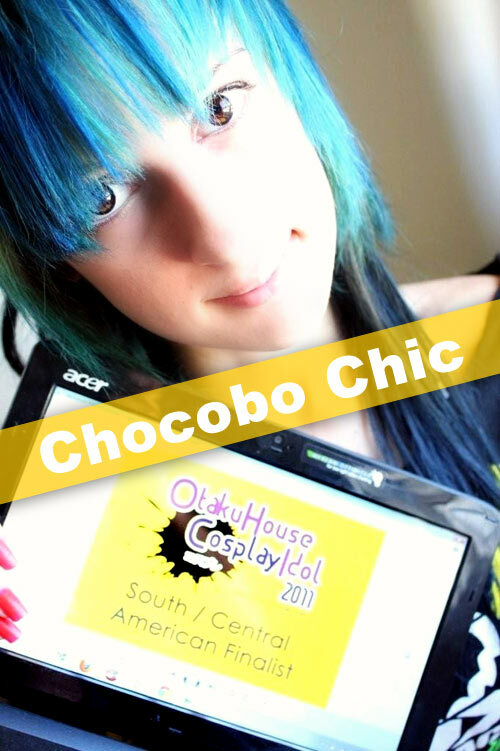 If you like her cosplays, support this Puerto Rico cosplayer at the top of the page by clicking ‘like’ or ‘Google +1’!